TESS Observation Sector 6 is comprised of observations made during orbits 19 and 20 of the TESS mission. Observations of Sector 6 extend from the 11th of December to the 7th of January. 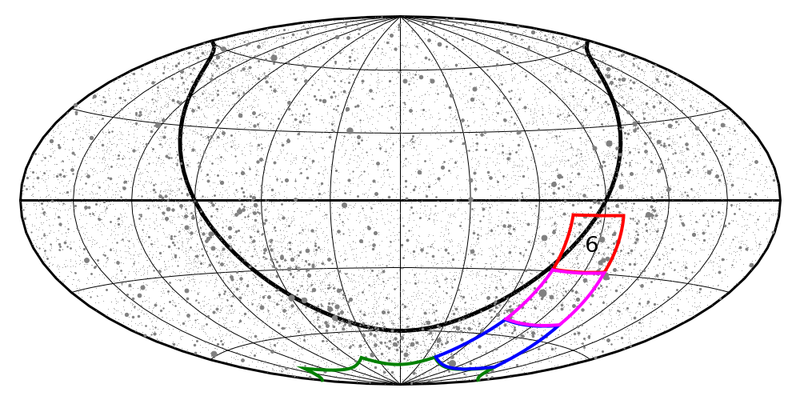 The regions of the sky observed during Sector 6 are shown at right. The targets observed during Sector 6 are below. During Sector 6, the instrument axis is pointed to 93° ecliptic longitude and -54° ecliptic latitude. 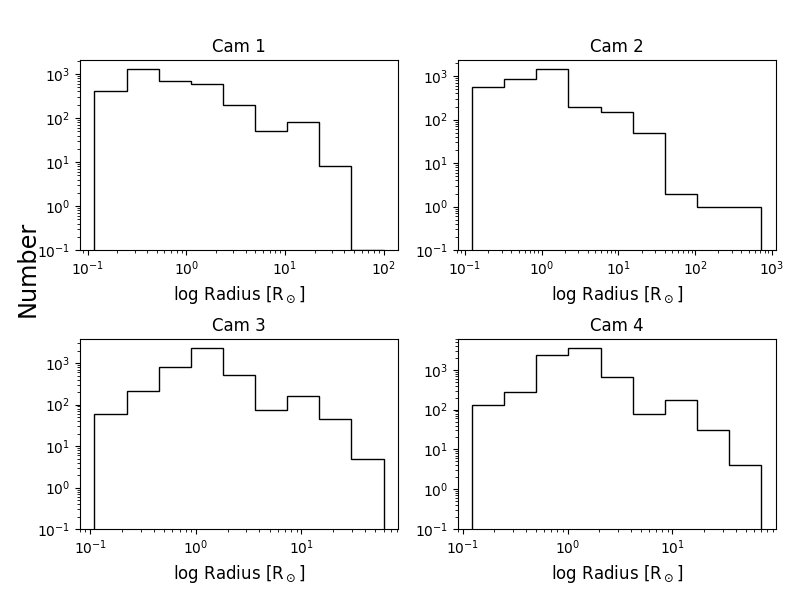 The coordinates of the centers of the fields-of-view of the four cameras are given in the table below. 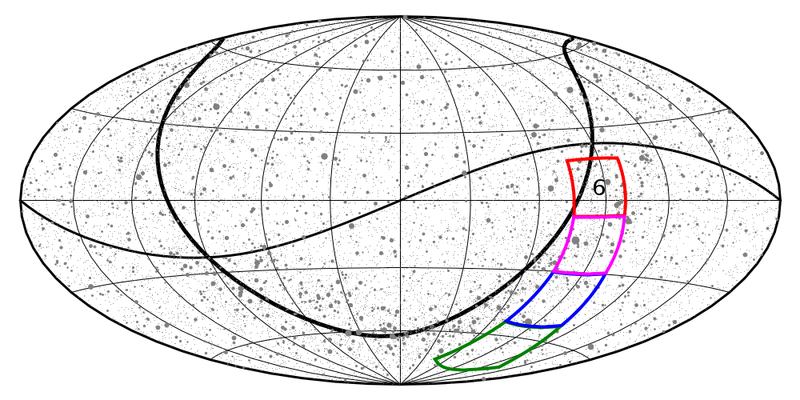 Map of TESS camera fields-of-view for Sector 6 in ecliptic coordinates. Camera 1 is red, camera 2 is magenta, camera 3 is blue, camera 4 is green. The field of camera 4 looks distorted because it is centered on the ecliptic pole. The thin black line is the ecliptic; the thick black line is the galactic plane. Map of TESS camera fields-of-view for Sector 6 in celestial coordinates. Camera 1 is red, camera 2 is magenta, camera 3 is blue, camera 4 is green. The thin black line is the ecliptic; the thick black line is the galactic plane. 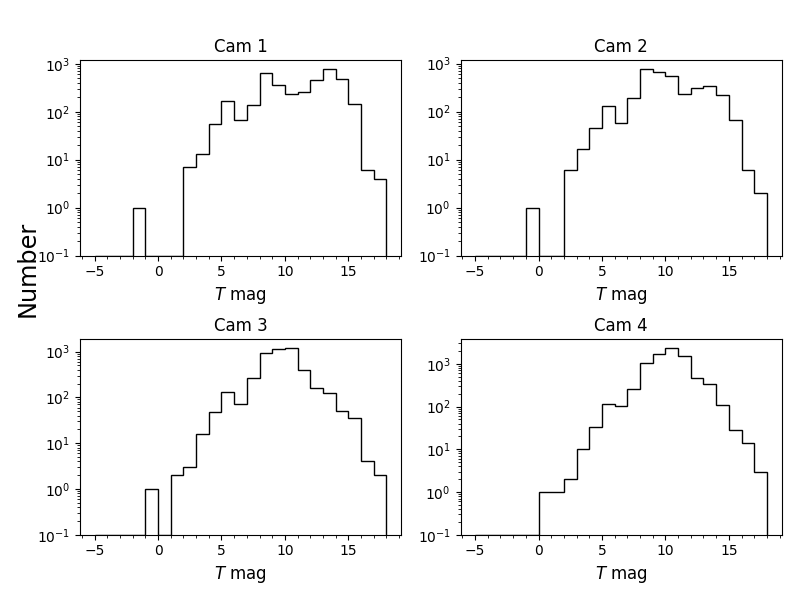 During Sector 6, 20,000 stars are observed at two-minute cadence, and full-frame images are collected every 30 minutes. The list of targets observed at two-minute cadence can be retrieved below. 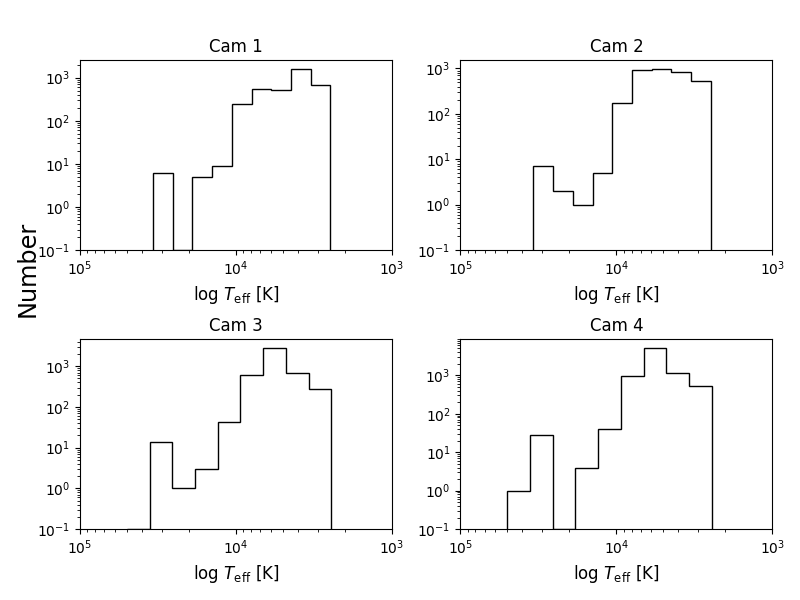 The target list includes the camera and CCD on which the target can be found, TIC ID, RA, declination, and TESS magnitude.